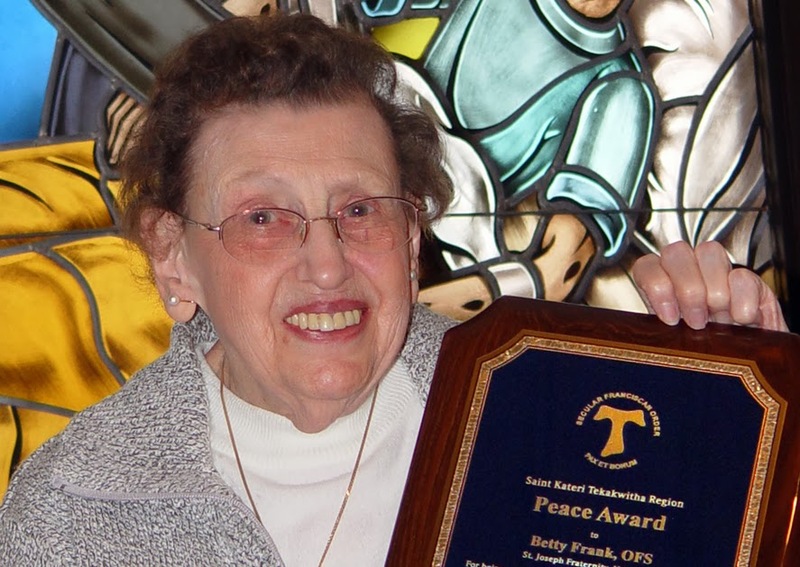 UTICA -- Elizabeth "Betty" Frank, OFS, has been awarded the Franciscan Peace Award by the Saint Kateri Tekakwitha Region of the Secular Franciscan Order (Ordo Franciscanus Saecularis). "Our national theme is to 'Be a Bridge -- Accept All People As a Gift of God'," Mary Stronach, OFS, the U.S. international councilor, noted during an awards ceremony at St. Joseph-St. Patrick Parish Center Sunday (Oct. 27). "Betty Frank is that bridge."